Still re-scanning old negatives... 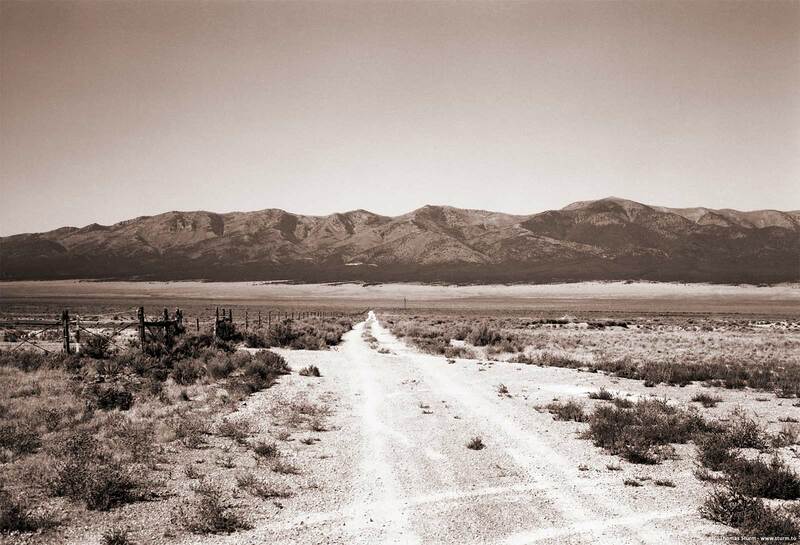 In late 2006 we traveled through large chunks of Nevada, mostly on Highway 50 and 93. This picture is from somewhere south of Ely in east-central Nevada, where mountain ranges rise to the east and west of the highway. The main roads in this part of the country are excellent, but nearly always deserted. We stopped at this dirt track that seemingly disappeared into nothing somewhere near the mountains and had a quick picnic with sandwiches we had brought from Ely. All around us the landscape was empty and quiet. It was the kind of silence that makes you welcome the odd pickup truck rushing past.